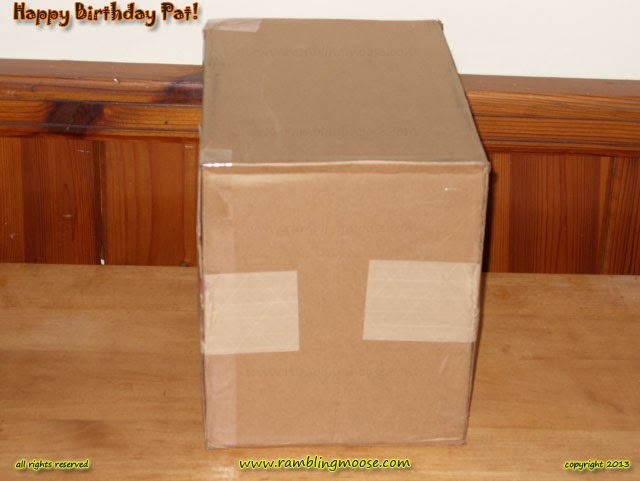 Rambling Moose: Happy Birthday Pat! It's time for Pat's Birthday! This is what she's getting! A Box of Random Goodies! That is if the box made it. I sent it parcel post last week. Went up to Oakland Park P.O. on Dixie Highway, just over the other side of the line from Wilton Manors. Nice folks up there, they always ask what smells so good in the box. I tell them but I'm not saying until Pat gets the box. I'll probably hear something got crushed. It usually leaves her scratching her head as to What on Earth was I thinking?